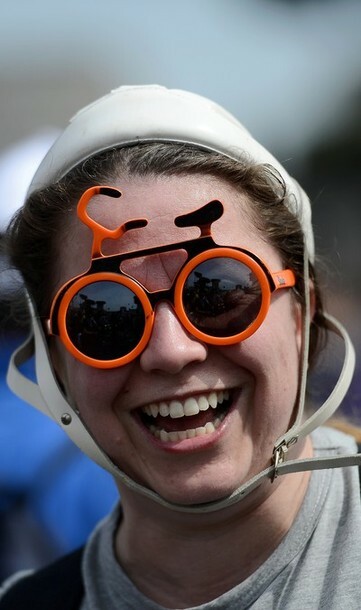 Cyclists take part in a protest rally calling for more and safer bicycle infrastructure, in Rome’s central Via dei Fori Imperiali near the Colosseum on April 28, 2012. 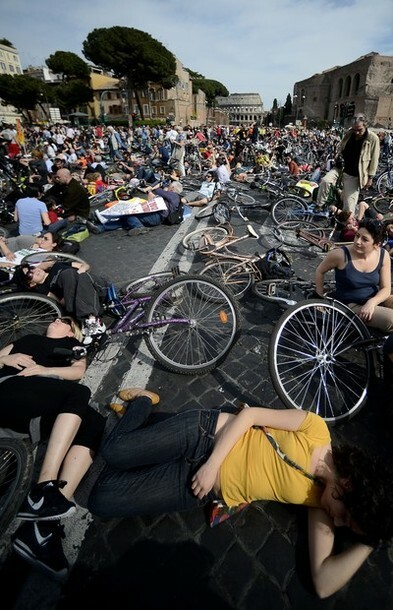 The ‘salvaiciclisti’ demo in Rome – inspired by the #cyclesafe campaign by The Times – attracted 50,000 people on bikes. In London, 10,000 joined the the Big Ride and another 3K rode in Edinburgh’s to Pedal on Parliament. All three events were inspired the London Cycling Campaign. We’ve ridden in London and Rome and reading this story wondered what organized protest rides would look like in the States. Photos: Getty Images via Daylife.